Fourth generation cheesemaker Chris Roelli makes the type of cheese that will take a sandwich to the next level, yet you won’t be able to stop peeking at it between the slices of bread because it’s so strikingly beautiful. 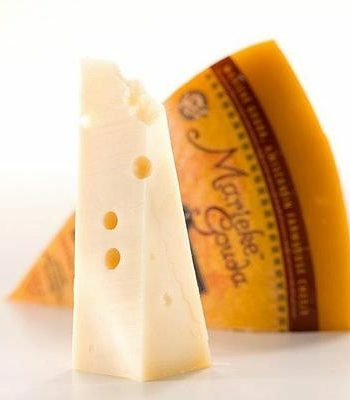 Roelli uses five different starter cultures to frame the flavor profile of the cheese. He then places curds into 40-pound block forms to set. Once the cheese is pressed, he cuts the big blocks into smaller 5-pound loaves. He hand-spikes each individual loaf to let the blue mold breathe. Red Rock and Dunbarton is then placed on racks for cellar-aging and allowed to develop a natural blue rind, while inside, deep spikes of blue mold grow through the center. You receive equal amounts of Red Rock and Dunbarton Blue cheeses. Red Rock cheese is an American original: A cave-aged cheddar with a hit of blue. It is creamy and sliceable, and is named for the local stone that surrounds the room where it is aged. 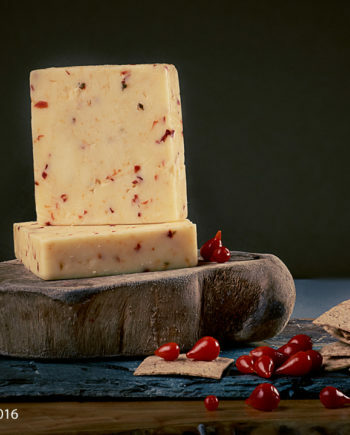 Red Rock cheese is colored with twice the amount of annatto as a traditional Wisconsin cheddar. It is aged between 3-6 months. Red Rock is more of a creamy cheddar than a crumbly blue. Dunbarton Blue combines the sharp, great flavor of an English-style cheddar (slightly dry and crumbly) with the bite and creaminess of a French blue cheese. Finished with a natural rustic rind, this cheese is open-air cured with a light blue veining and a slightly spicy flavor. 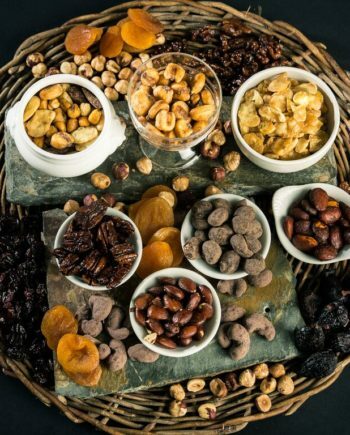 Pairing suggestions: Dried cranberries, Fig and Black Tea preserves, Potter’s Classic Wheat Crackers, Ale Asylum Contorter Porter ale.